7 Rosy Crafts to Celebrate National Rose Month! Now that spring is winding down and summer is right around the corner, I’ve noticed that the roses in my garden are finally blooming! They are one of my favorite flowers and they just so happen to have the pretty impressive title of our National Floral Emblem. So of course, I was excited to find out that June is National Rose Month. That’s right, it’s officially the time to stop and smell the roses! In order to celebrate the rose, long a symbol of beauty and love (even Shakespeare was a fan! ), I’ve rounded up some of the best rose crafts I could find. Carry around a rose wherever you go with these cute jewelry projects. You’ll never have to worry about these flowers wilting! This elegant necklace is a wonderful way to showcase your love of roses. Follow this Beaded Rose Necklace Tutorial from our friends at AllFreeJewelryMaking to add some floral flair to a chic pearl chain necklace. If crocheting is more your style than you have to check out this adorable Crochet Rose Ring. It’s a quick project so make a bouquet of all different colors and give as gifts to your friends! I know I wouldn’t mind getting one of these cute little flowers. You’ll be turning heads with these Awesome Neon Rose Earrings. They’re very trendy right now and this easy video tutorial will show you how to make them out of bread dough. Who knew you would be baking your roses?! 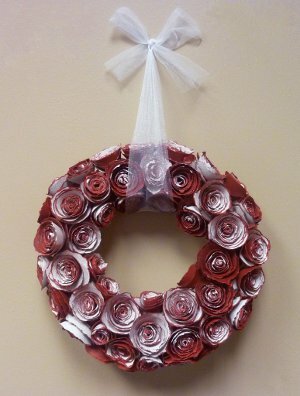 Welcome guests to your home with this classy Rose E’er Blooming Wreath. You can hang this beautiful wreath on your front door for the month of June or all year long. You won’t want to take it down! This Rosebud Afghan from AllFreeKnitting is absolutely gorgeous and is made from a vintage knitting pattern. 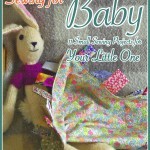 Wrap yourself up in this pretty rosebud pattern, it’s sure to be your new favorite blanket. You’ll fall in love with this red rose adorned Rose Tote Bag. There’s room for everything you need and it looks so pretty! Who said practical can’t be stylish? There’s nothing thorny about this Rose Cosmetics Bag. Carry all your makeup or toiletries in this adorable crochet project! How are you celebrating National Rose Month?